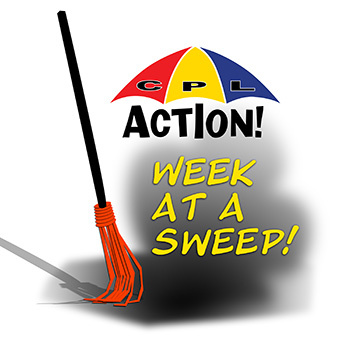 You are here: Home / curriculum & school policies / Week at a Sweep! “THANK YOU” for calling Members and asking them to protect our students’ physical privacy and for working to protect girls’ sports! “THANK YOU” for your many emails and calls of support to us. CPLAction is comprised of mostly volunteer warriors sending out emails, creating graphics, collecting lists, researching, reading legislation, etc. Man, do we appreciate the fact that you appreciate CPLA. “THANK YOU” for your financial donations that keep us ticking. The better funded we are, the more we can do. It is just that simple. The deadline to give HF1546 a hearing in the House Education Committee (Chair Erickson) came and went yesterday, March 20, 2015. Unbelievably, no action was taken. NOT ONE DEMOCRAT in the House put his/her name on the Student Physical Privacy Bill – HF1546. NOT ONE DEMOCRAT has publicly said he/she would support it in committee or on the floor. As of the writing of this update, 23 great House Members have signed unto HF1546: Miller ; Lucero ; Lohmer ; Scott ; Whelan ; Dean, M. ; Drazkowski ; Backer ; Heintzeman ; Newberger ; Rarick ; Hancock ; Runbeck ; Daniels ; Pugh ; Green ; Gruenhagen ; Fabian ; Uglem ; Barrett ; Lueck ; Dettmer ; Nash. SF1543, the Senate companion bill to HF1546, was brought up on the Senate floor on Thursday morning as a motion to pull it out of committee and bring it to a full Senate floor vote. That motion was defeated by the Democrat majority on a party line vote, with the exception of Sen. Lyle Koenen, whom we would like to thank for standing with the children. Sen. Sean Nienow also offered the bill as an amendment to the Senate Education Policy Bill on Friday morning in the Senate Education committee, where the Democrat majority again voted it down. Thank you, Senator Nienow! It appears that a compromise to HF1546 is no longer being considered, due to the fact that it would allow the MSHSL transgender policy to stand. We can be thankful for this. House and Senate Members received many, many calls and emails in support of HF1546 and SF1543; so much so, that the battle in MN has gained national attention. We were able to go on radio stations across the U.S. this week and tell the story of the grassroots movement to protect kids. We have had numerous interviews for online and print news services, as well. We were also able, thanks to your donations, to place this full-page ad in a major newspaper last Sunday. What a great people you are! You are the people who get it, who understand what is coming to our children if we do not act now. We are honored to be working with you, and we thank you for staying in the fight. Stay tuned for next week, as we continue to put forth HF1546 and SF1543 at the MN State Capitol. The battle is not over! Enjoy the rest of your weekend and hug your precious kids!